How to download VEVO music videos? When you search music on YouTube, you may find that top video in the list has VEVO icon on its snapshot. "VEVO channel will provide YouTube users with the best possible music experience." said by YouTube in a statement. Their music videos are available at up to 1080p resolution. Is there any way to download VEVO music videos and keep high quality? This guide will show you an easy solution. 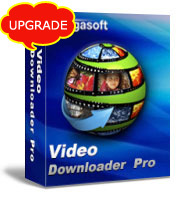 Firstly, download and install Bigasoft Video Downloader Pro (Bigasoft VEVO Downloader Windows Version or Mac Version. 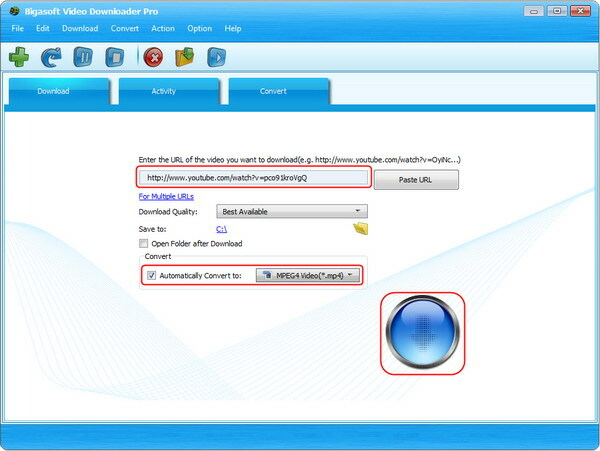 This tool is compatible with latest OS, including Windows 8, Mac OS 10.9 Mavericks. YouTube recently changed something and some users are unable to download VEVO music videos from YouTube VEVO channel. We have upgraded our Video Downloader Pro and VEVO is fully supported. Download it and try now! For example, let's search Applause Lady Gaga. Copy the URL of VEVO official music video to Bigasoft VEVO Downloader. MP4 is widely used on media devices and MAC. Let's select MPEG4 Video (*.mp4) or H.264 profile. There are special profiles for popular media devices, such as iPad, iPhone, PS3, Xbox etc. One click to download VEVO music videos. From Activity panel, you can check the downloading process. After a few minutes, the VEVO video will be downloaded and converted to destination path. This powerful VEVO Downloader also supports Facebook, eHow, Vimeo, MTV, BBC, Dailymotion, Metacafe, Funnyordie, Vimeo, Blip.tv and other more than 1000 video sharing websites. Enjoy high quality VEVO music on your MP4 players now with Bigasoft Video Downloader Pro.